One of the best ways to experience the snow-capped mountains around Wanaka is to take a scenic flight above and within them. 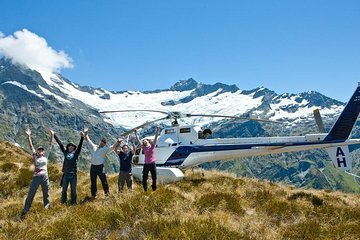 On this helicopter tour to Mount Aspiring and nearby glaciers, you not only fly around the spectacular sights but make two Alpine landings, for close-up views. An exciting and memorable excursion for travelers short on time in the Southern Alps, or for anyone who enjoys a thrill with their mountain views. Enjoy close-up views of the mountains without having to climb them! Return to same departure location.